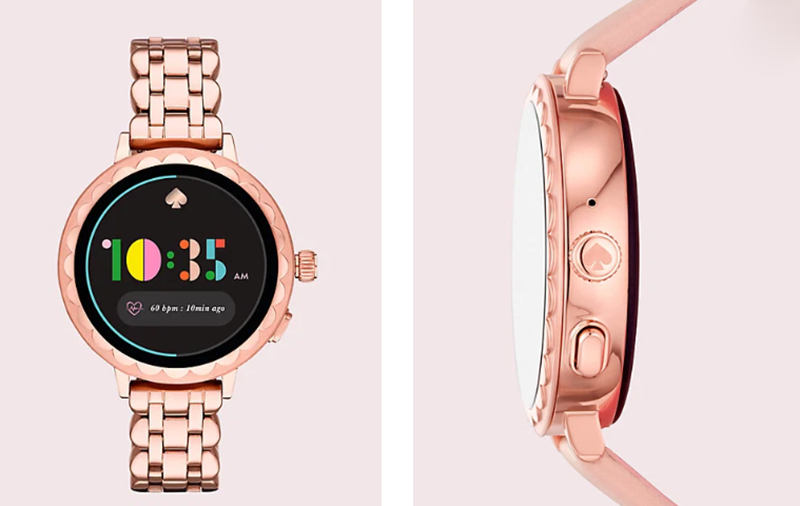 Designer Kate Spade collaborated with Fossil to launch a new smartwatch called Kate Spade Scallop 2, a sequel to its extremely popular Scallop smartwatch. Announced at the CES 2019, Scallop 2 is a top-end smartwatch that’s designed especially for women. Although, similar to the original Scallop watch, the design of the Kate Spade Scallop 2 is unique in a way. It has a 42mm stainless steel case and the bezel with a petal effect that’s raised up, gives it a unique look. The timepiece has NFC for Google Pay and the latest version of Wear OS. You can play music directly from the smartphone and it has a built-in microphone for Google Assistant. Scallop 2 will also display notifications and social media updates and some pretty stylish animations. The beautifully designed watch is also loaded with health and fitness features such as a heart rate monitor and a swim-proof design that’s water resistant up to 3ATM. It also has built-in GPS. A 300mAh battery will probably run for a day. It also has a 4GB of internal storage space, and Google’s redesigned Wear OS operating system, so the watch will pair with both Android and iOS devices. A Kate Spade exclusive app called Choose My Look lets you pick the watch face color to match your outfit. The watch comes in either silver with a gold flower effect, or rose gold with the flower in the same color. Kate Spade hasn’t announced the official date of its release, but the Scallop 2 is expected to go on sale in the US at some time in January 2019. The price will be around $295 (leather strap version) or $335 (metal chain link strap).